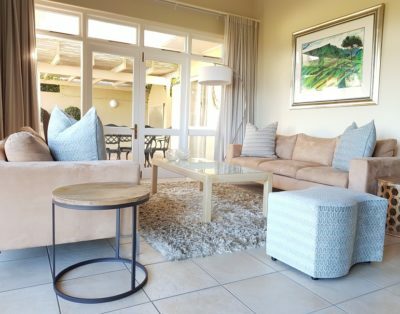 Situated in Erinvale, one of the best PGA Golf Estates in Africa, this newly and tastefully renovated home offers tranquility, modern open spaces and mountain views, a solar heated pool and elegant outdoor living spaces. 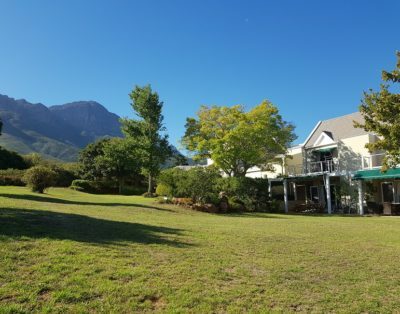 Enjoy mountain views in the late afternoon sun after a day’s golfing or sightseeing. Owned by an interior decorator, no expense has been spared. It comes with a heated pool, open plan kitchen, internet, satellite TV and weekly cleaning. Secure parking at the house is available.